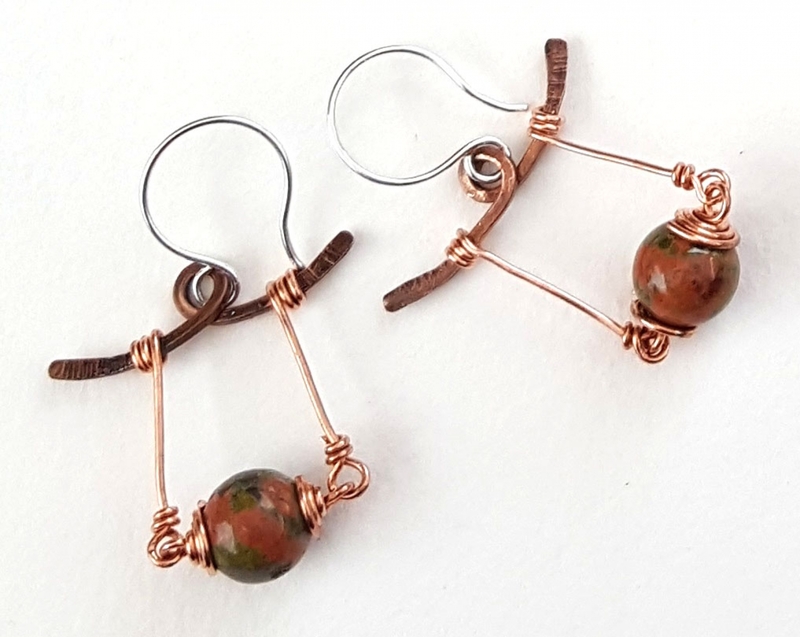 Peeking out from your hair, there is a flash of copper and the warm tones of natural unakite stone. These dangle earrings are a handcrafted of wire and hammered. They hang from sterling silver earwires. Shape, color, and swing, I designed these earrings to have it all! They will come in a gift box--ready to give as a gift or keep for yourself and use for storage! I do recommend these be stored in the box so they don't get entangled with other items.